day three of this jaunt was always going to be a bear. i knew that going in, and even without counting for the 2-hour mine tour. 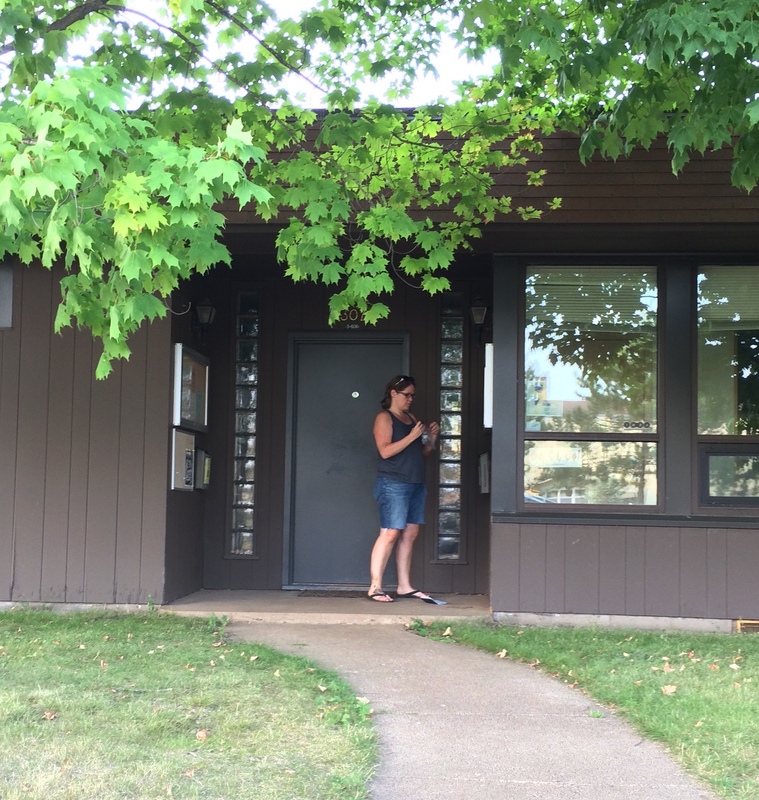 i needed to get from the tip of NE mn to st. cloud – and pick up 5 parks along the way. turns out it wasn’t horrible, and it only took us 12 hours to get back to central mn! we broke camp and got out of there a little after 8 a.m. and headed back down the coast. i told lori to stop for this shot or else i’d regret it. 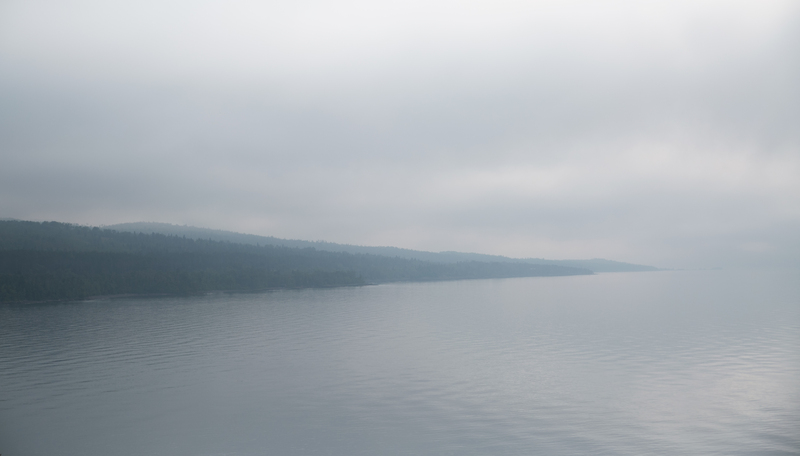 i also wanted desparately to stop in grand marais and get the fog over the marina, but i spared us the cluster of driving in that area and kept the thought to myself. we stopped in tofte again to fill up the gas tank and then headed up hwy 1 toward ely. time for MOOSE WATCH. it was morning and we were driving through some boggy areas. i was hoping to see some moose flinging its head up out of a marsh, but no such luck. drove through ely looking for pasties (the food), but had the same sort of luck as moose watch. we did find a frozen pasty at the local grocer, but we didn’t’ have a microwave. instead we snacked at our first park. there were also a lot of trees down due to a wind storm in late july – local utilities peeps were working on clearing out some of the downed trees and branches on the road into the park. we didn’t spend a lot of time at this park, but i managed to eat a donut and lori finished up the chips leftover from the night before. 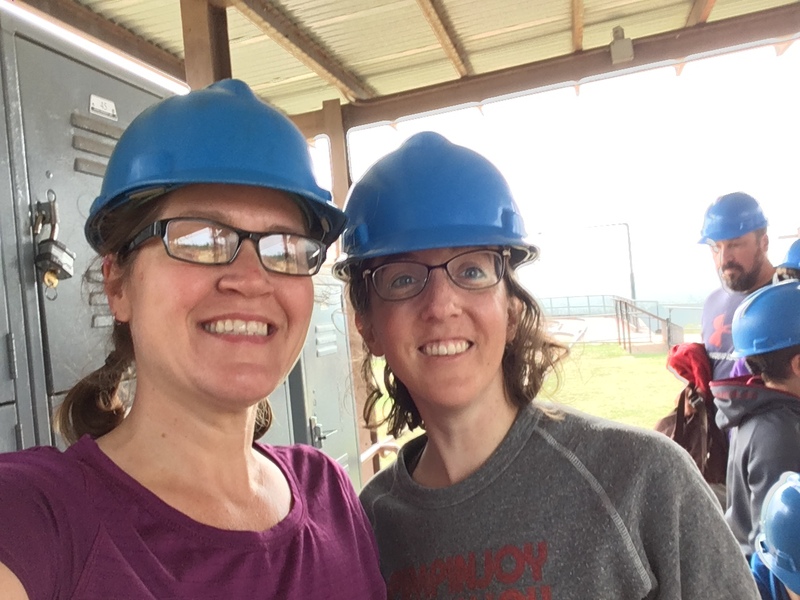 we headed out to get to our scheduled 12:30 tour at the soudan mine. i made reservations for the mine tour at 12:30 and instructions said to show up a half hour beforehand. we made it RIGHT at noon. good job us. checked in, checked out the outdoor above-ground mine operation they had going on for a while, and then the items of interest indoors. at 12:30, we met our tour guide and he started a 10-minute video on the mine. at which point i realized – DRAMAMINE. we’d be shuttling down a half mile in a rocking elevator and then sitting in a train for a while. oh lord. i didn’t need a repeat of HP world. so i ran (literally) back to the car, took my pill, and ran back just in time for the end of the video. we shuttled down in the metal elevator that has a pretty awesome apparatus for getting up and down the mine shafts. there are two, and the weight of each brings the other up or down. then we headed through the mine for a tour, learned about the horrible working conditions, and watched out for ghosts and bats. we saw neither, but that’s ok by me. i am severely glad i took the dramamine. so it turns out that the iron in this mine is really good, pure stuff. which means it’s a little difficult to mine, but it’s an awesome percentage of iron. so i wondered why they closed the mine. 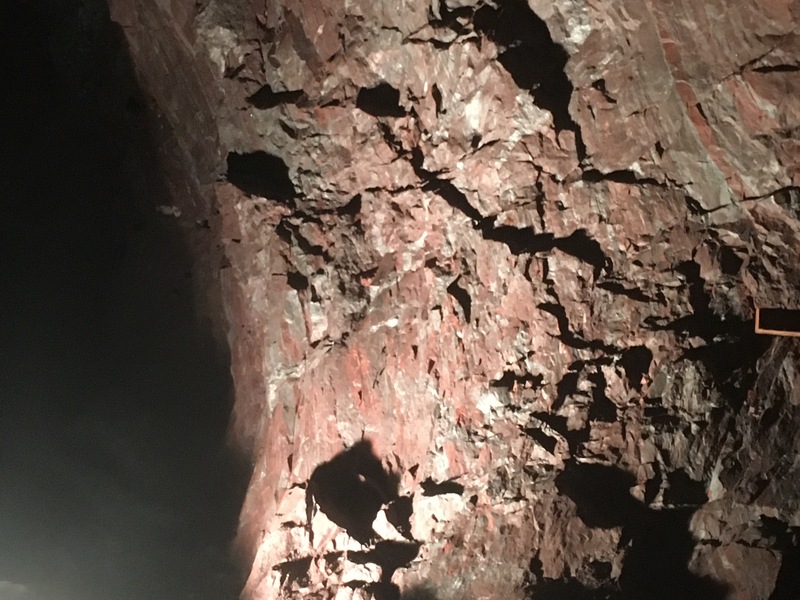 well, with the advent of bottled air, getting iron out of taconite ore is a lot more cost effective than mining the much purer iron ore in this one. so now we get to take tours of the mines instead of mining the mines. after our tour, we stopped in tower at another last-minute eating decision. we ended up getting some appetizers and then ice cream afterward. good food decision! now it was time to book it down the state. mccarthy beach was in a weird spot. i was going to pick it up a month ago on my week-long jaunt way up north, but it was just too much out of the way. so we had to pick it up now, and it was still weirdly out of the way. but what a nice park it was! 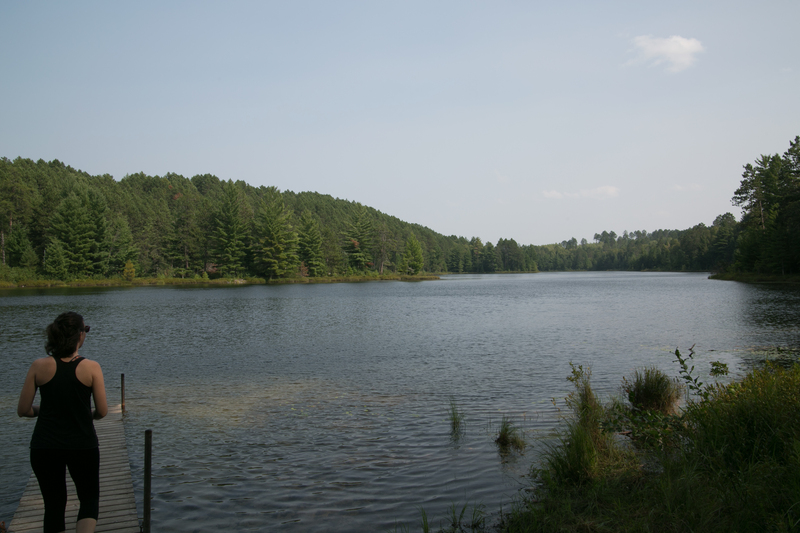 the ranger pointed us to a short trail that ended up going to a small, peaceful lake. it was in the middle of prime “up north” lake country, and it was a nice park that would be a great place to stop if nearby. google maps (lori haha) led us astray. google told us that we could continue on the minimum maintenance road and it would lead us back to our road, instead of going back the way we came (maybe 1/8 mile). well, after a mile of harrowingly driving through rocks, divots, potholes, mud, over small steep hills i feared i would get stuck on, we finally came out the other side. (this was about 3 hours after i told lori about my anxiety dreams involving driving up steep hills that i can’t get up. while we were driving over the minefield of this road, i exclaimed “this is my worst nightmare come true!” then maybe 45 miles down the road she started laughing and said “i just got the nightmare thing!”) well, we made it at least. i was driving along when the dramamine finally hit me, so lori drove to savanna portage while i took a road nap, where we checked out part of the portages that the frenchmen used to transport beaver furs. we also predicted that we stood on the spot where the three watersheds in minnesota meet! and that was it for planned parks. we headed down 210 to hook up to 371 in brainerd and were driving through ironton when i saw the sign for cuyuna, which i HADN’T visited yet. i was like, how far off the beaten path is that? after a 1-block navigational consultation with google maps, it was 3 MINUTES away. i asked lori if i could go check it out. it would be silly not to. 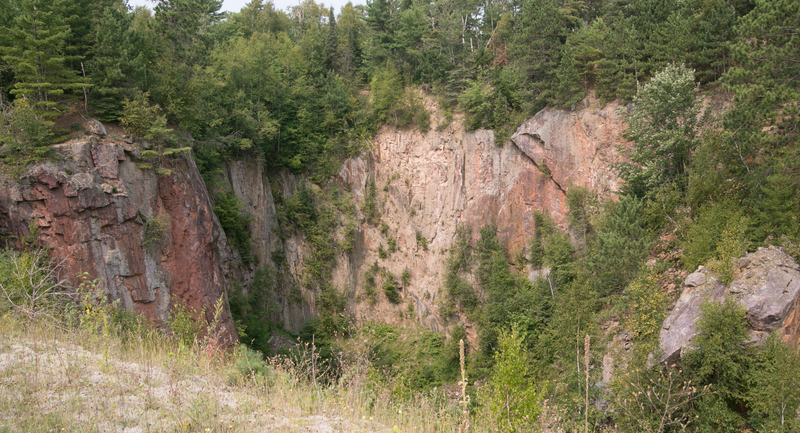 so we headed to cuyuna, which is pretty much dedicated to mountain bikers. i wouldn’t mind loading up my bike sometime and checking out some of the tamer paths. there were no maps, unfortunately, and after looking and looking, NO STAMP. what on earth. no self service, no nothing. 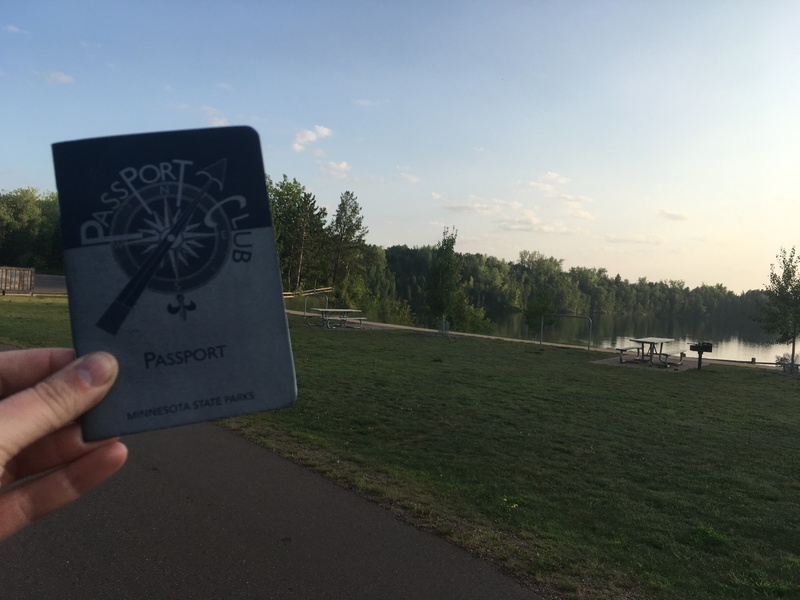 i took a pic with my passport in front of the lake just to show i was there and i was going to tweet the dnr to see what the deal was. then lori saved the day! (and redeemed herself for taking me down the nightmare road.) she checked out the park map online and the ranger station was actually 5 blocks away in town. we visited EIGHTEEN parks this trip. so far i’ve visited 64 parks total. only eight more until my passport is full: beaver creek valley, forestville/mystery cave, lake louise, myre big island, rice lake, sakatah lake, minnesota valley, and st. croix. i’ll pick up a few of those next weekend after liz’s party, and when i visit jenee in september i’ll stop at st. croix. also, i want to point out that the purpose of getting the passport and visiting the parks wasn’t necessarily to spend a lot of time at them. that’s why i’m picking up so many at a time. the point is to figure out which ones i want to go back to and actually spend time at. or which ones i’d stop at again if i’m in a particular area but wouldn’t make a destination of it. i’ve already talked to my mom about visiting itasca next year and spending time there. 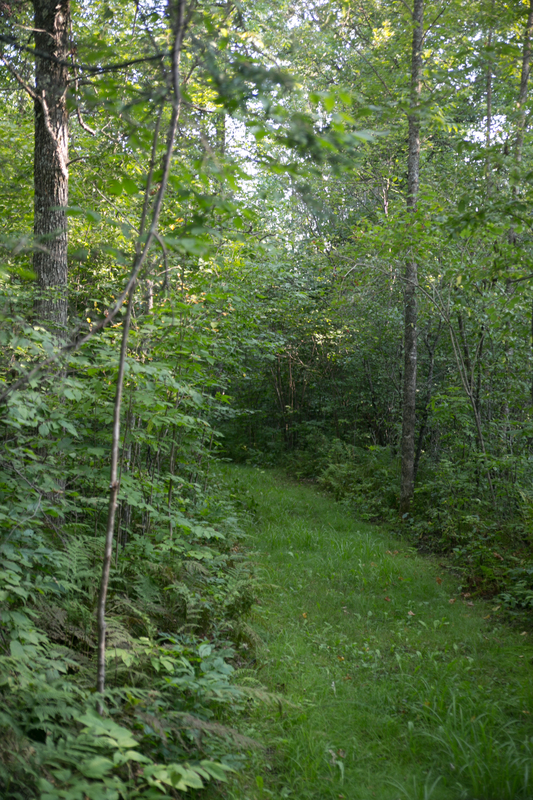 i’d also like to stay at jay cooke again and visit grand marais. this has been a fantastic way to see the state. 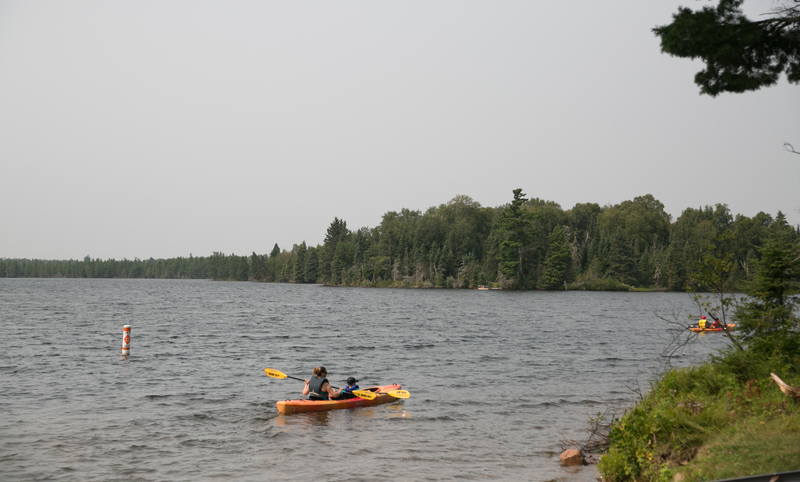 mn state parks: the north shore!